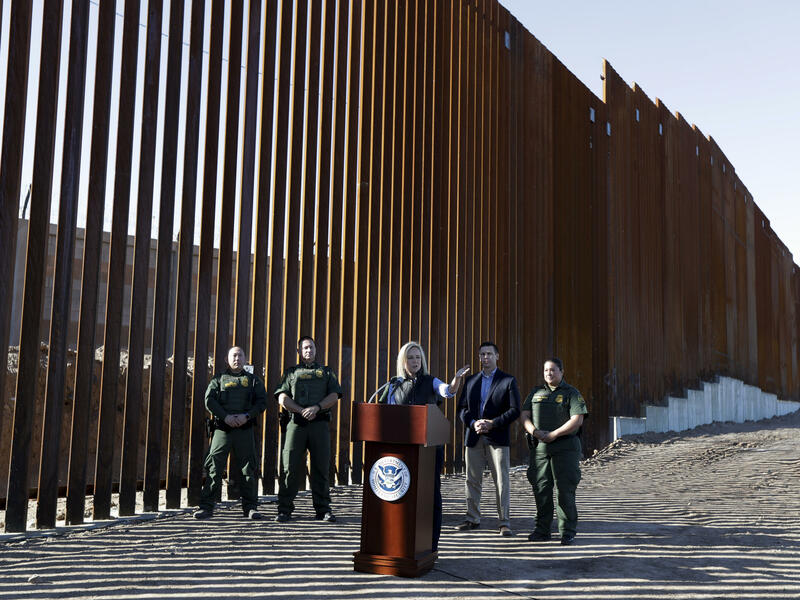 U.S. Department of Homeland Security Secretary Kirstjen Nielsen speaks in front of a newly fortified border wall structure in Calexico, Calif. in October. A federal court ruled Monday that DHS has broad authority to waive environmental regulations in the name of border security. The Department of Homeland Security said in 2017 it would bypass various environmental regulations — including the National Environmental Policy Act, Clean Air Act, and Endangered Species Act — to quickly construct barriers and roads near the U.S.-Mexico border, NPR reported. By granting itself the waiver, the government avoided the requirement to complete environmental impact studies. Environmental advocacy groups and the state of California quickly challenged the waiver in court, arguing the agency overstepped its authority. The court ruled Monday that the agency has "a broad grant of authority" to waive environmental statutes if the director finds it necessary to quickly complete security projects. The Illegal Immigration Reform and Immigrant Responsibility Act of 1996 explicitly gave the government that power, the court said. A Justice Department spokesman told The Hill that the court's ruling was "a victory for the Trump administration, for the rule of law, and above all, for our border security." Border wall prototypes stand in San Diego near the Mexico U.S. border, seen from Tijuana. A federal court ruled Monday that the Department of Homeland Security had the authority to waive environmental regulations in constructing the prototypes. 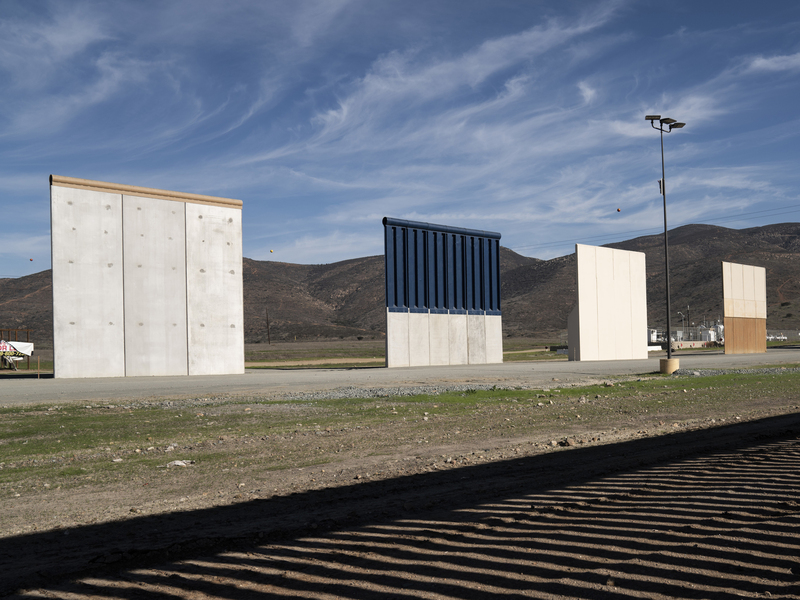 The waiver let the government replace 14 miles of fencing on land stretching east from the Pacific Ocean, and also build prototypes of Trump's border wall in San Diego. Another project replaces an existing 14-foot section of fencing with a taller barrier that is supposed to be more effective. The Sierra Club, one of the challengers in the case, said the advocacy group was contemplating next steps. "We're not saying necessarily the 9th Circuit or any judges got this wrong," they told The Hill. "I think that when Congress passed these statutes in the 90s, it was contemplating specific, real immigration issues. I think the problem is this legislation is so broad that it can fold in what is frankly a racist campaign slogan that turned into some presidential act to build a wall along our southern border without any justification." The California attorney general's office said it was "disappointed with the ruling, but pleased that the court recognized the Trump administration does not have unlimited power and that the administration's authority to build a barrier along our border is subject to judicial review," the San Francisco Chronicle reported. This is not the first time DHS has waived environmental laws in order to build barriers and roads at the border. DHS used that power five times during 2005-2008, NPR's Eric Westervelt reported. A court rejected a similar lawsuit that alleged DHS had overstepped its authority in Texas, and in 2009 the Supreme Court let that decision stand.